These are just some of the lyrics from Bruno Mars’ hit song, Grenade. As you can see, he makes bold poetic declarations about all the things he’d do for the woman he adores. We’ve all been there. We’ve done seemingly crazy things for people we love. Things we’d never conceive of doing in our rational minds. Love takes us there sometimes. It makes you do things you never thought you’d do. But don’t think potentially questionable behavior happens only in our personal relationships. It happens with the products we love too. That helps explain why hundreds of thousands of people camp out overnight to get their hands on a new iPhone release. When your customers realize the good stuff you give them is stuff they don’t want to live without, you’ll start seeing them do crazy things for you too. It’s like the product has your customers under a spell. Something bubbles up inside them that makes them feel like they just have to have the stuff you give them in their lives. And pretty soon, they’ll start to display these behaviors. Raving fans can’t help themselves. They gush every time they have opportunity to talk about that thing that’s made such a big impact in their lives. They want others to know, and if possible they want them to get a piece of the action too. Because they recognize how much life is better as a result of what you deliver to them. They don’t want to be without it, especially knowing the other options available don’t measure up. Sometimes the conditions to get a product aren’t ideal. Even with the best of plans. But when customers find something they don’t want to live without, they will move mountains to get it. Even if it is super inconvenient. I love almond butter. It is a staple in my diet. Pure, unsalted, no-sugar added, almond butter. I have some every morning on my apple slices as part of my breakfast. And sometimes again for a late night snack. I love it because it is mucho delicioso. But also because it has several health benefits. It’s a great source of protein, fiber, omega-3 fatty acids, and vitamin E. I also have a lot of fun making it fresh using the nut grinder at the grocery store. I am totally and completely under the spell of almond butter. Everyone in my inner circle knows it. The only thing I don’t like about it, is that I can’t eat more of it. So when preparing for a two-month adventure to South America, I was a little nervous because I wasn’t sure I’d be able to get my tasty treat (Note: This should be a sign to you of my fanaticism. I was planning an epic trip, but was worrying about not getting almond butter. Sheesh!). Turns out, my worrying wasn’t unwarranted. Nut butters just aren’t a part of the South American diet. As such, it’s not something you find in grocery stores. But that didn’t stop me from trying. My first stop was in Ecuador. I was able to make it a for a week and a half without my beloved almond butter. But I can’t say I didn’t miss it. Next up was Peru, where I hit the jackpot. I serendipitously wandered into a health food store on a side street and came across some of the good stuff staring me right in the face. I didn’t even look at the price. I bought two jars without hesitation. Two very expensive jars, I later realized. But I totally didn’t care. And I proved that by going back for a third when my stash began to dwindle. I would have bought a fourth, but there weren’t anymore. Eventually my almond butter supply ran out. When I got to Chile, I was certain I’d be able to score some more there. But it wasn’t meant to be. I finally realized it one evening after walking in the rain to store, after store, after store. 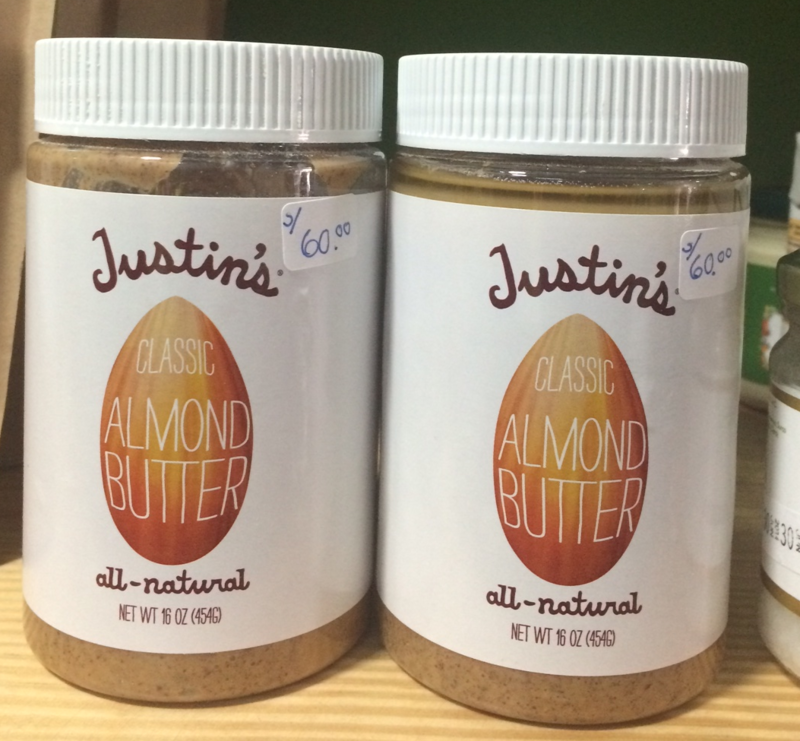 My hopes that one of the leads I had would indeed lead me to my beloved almond butter eventually dwindled. Over the course of my trip, I did buy some other nut butters to help fill the void: macadamia nut, cashew, and peanut butter. Although peanut butter did come close, none of the others were quite able to hit the spot. So I stopped looking for almond butter altogether, and decided I’d wait until my return home to get reunited with my beloved. It’s simple really. You’ve got to make their lives better. You’ve got to make it so their lives are better because your business and products are a part of it. Customers only buy things for two reasons: because it brings them good feelings or it provides a solution to their problem. So bring them good feelings and or provide a solution to their problem like none other. Then you’ll position yourself to be the one they just gotta have. And the more good feelings and solutions you deliver over time, the more indispensable you will be. Then you may start to see you customers doing all kinds of crazy things to get what you got. Stuff like walking in the rain for it, camping out overnight for it, paying stupid high prices for it, or all the above. And they’ll gladly do it. Because what you give them is worth it. No need to rack your brain for ideas on how to consistently make your customers’ lives better. I’ve got twenty-six for you waiting for you right here. You’ll also find examples, suggestions, and application questions to help you get going making your customers’ lives better. Go check them out, and then let me know which you’ll be using in your business. I’m excited to hear all about it. And then I wanna hear about all the crazy things your customers start doing for you.